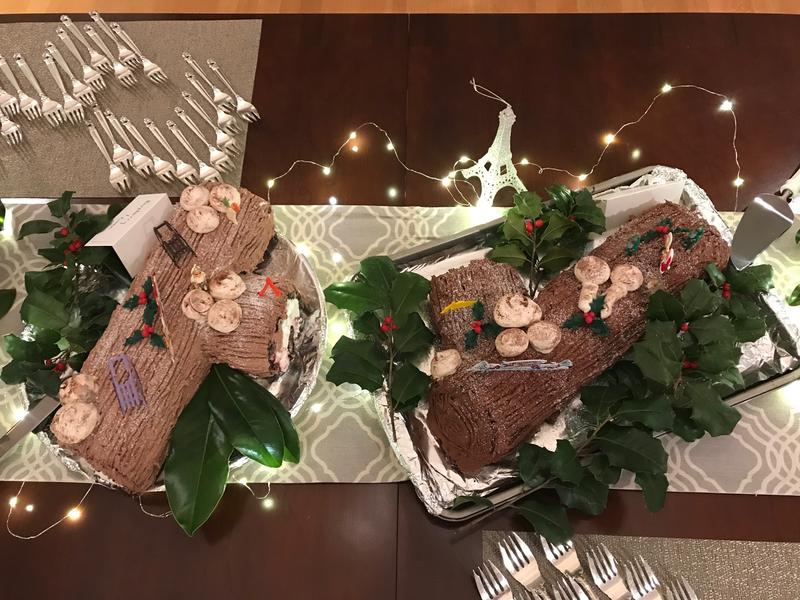 Raise a glass of champagne whilst savoring the traditional French Bûche de Noël (Yule log cake) in support of the Montpellier Yearlong Exchange program. 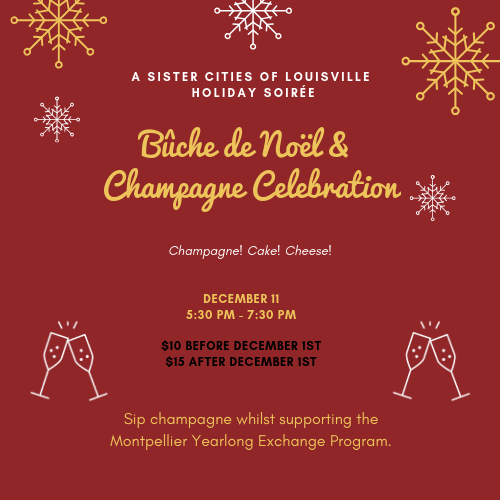 The Second Annual Bûche de Noël & Champagne Celebration supporting the Montpellier Yearlong Exchange program will take place this December 11th 5:30 - 7:30p at a private home in Old Louisville. 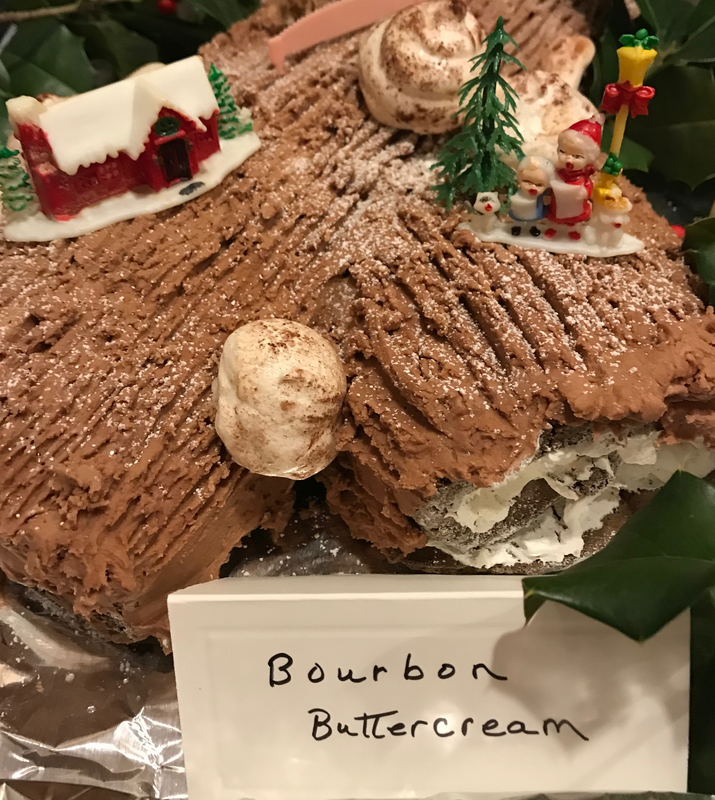 ALL Tickets include slices of a variety of Bûche de Noël cakes and two glasses of champagne. Tickets before December 1st are $10; tickets after December 1st are $15. Hurry now - tickets are limited to the first 100 people! 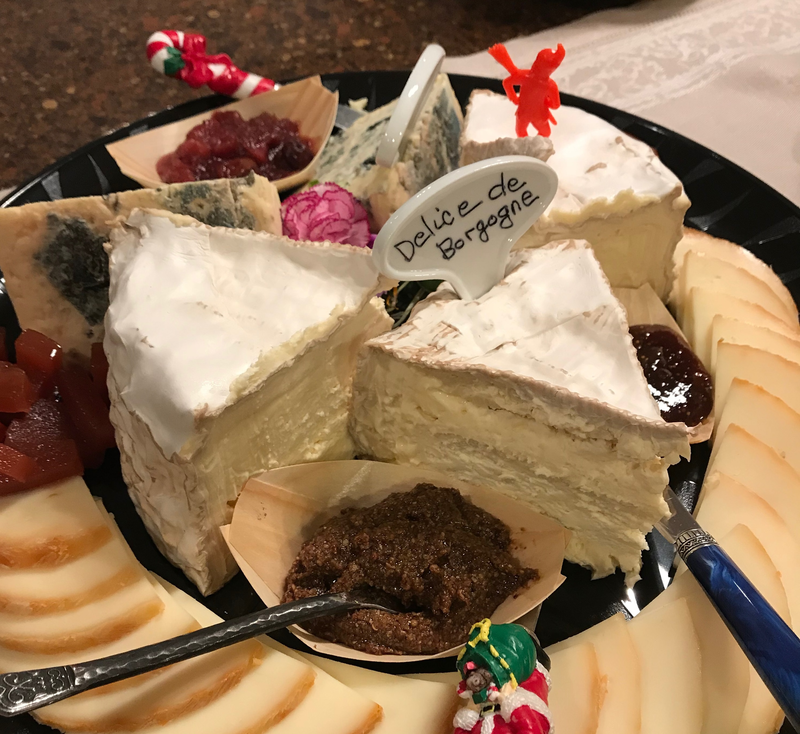 The Louisville-Montpellier Sister City relationship, one of the oldest in the country, is celebrating its 64th Anniversary this year! This relationship was partly founded to create and maintain a yearlong exchange program, which is now in its sixth decade. 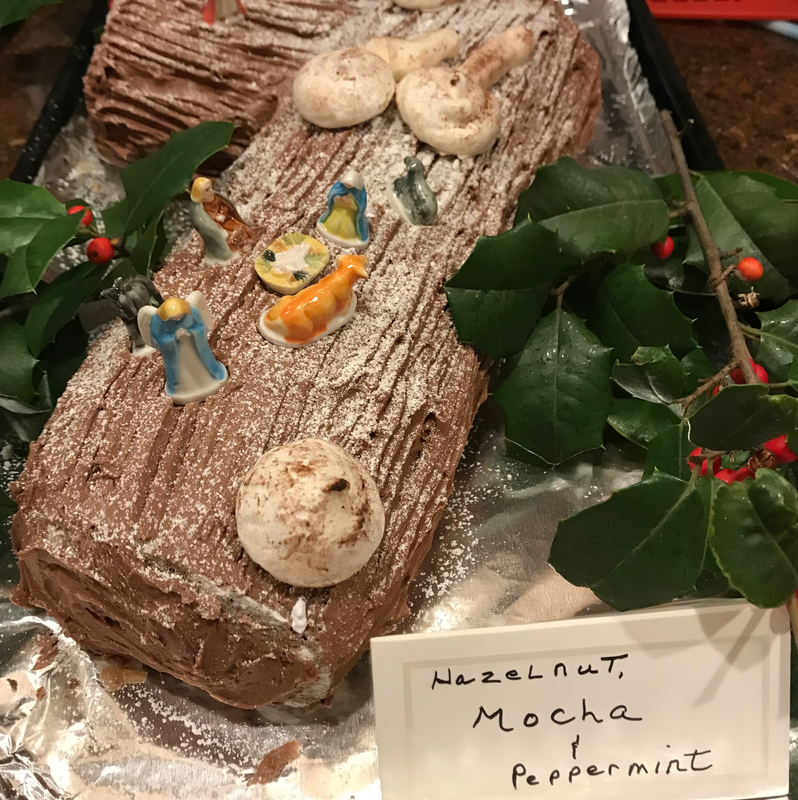 The Bûche de Noël & Champagne Celebration raises funds to support academic and living costs for the students participating in this program. New for this year: A Champagne Raffle! In addition to the Bûche de Noël & champagne savoring, we will raffle bottles of champagne at the event. Each raffle is limited to 20 tickets, so you have a good chance to win a bottle of champagne! Raffle tickets are only $5 each.